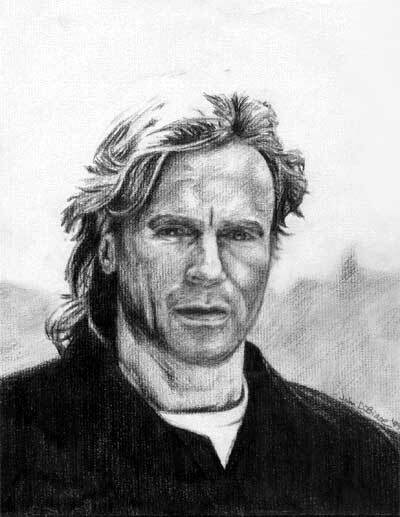 This one of Richard Dean Anderson (MacGyver) was sketched on special charcoal paper using strictly graphite pencils. The paper was hard to work with, but it creates a sketchier look– if you want that. However, I only used this paper once after this drawing and haven’t touched it since. I drew Mac for one of my best friends at the time for her 18th birthday. The reference used was a picture downloaded from a MacGyver fan site I found while surfing the net.